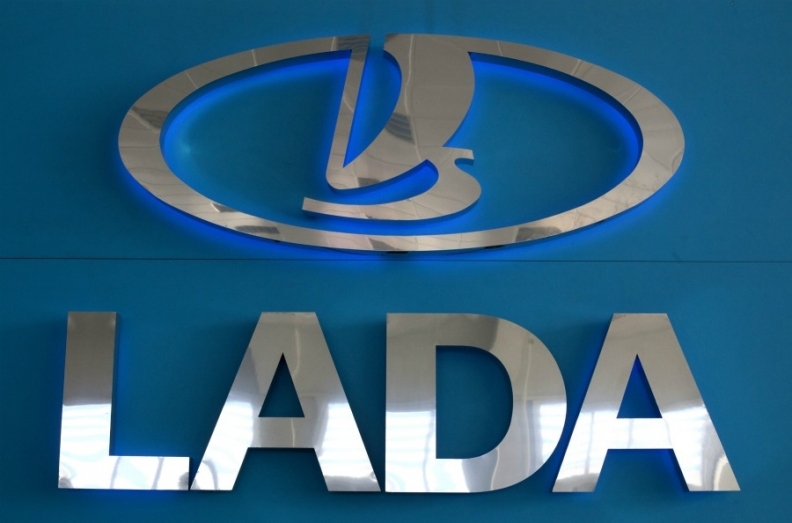 MOSCOW/PARIS (Bloomberg) -- Lada, which has been the dominant brand in Russia for decades, is under pressure to defend its lead as major automakers push into the market. With Ford and Volkswagen expanding and AvtoVAZ phasing out older models, Lada's share of Russian car sales is projected to drop to 20 percent next year from 29 percent in 2010, according to IHS Automotive data. Changing loyalties of Russian consumers threaten a growth plan by Renault-Nissan to dominate through their control of AvtoVAZ, the maker of Ladas. The Russian market is poised to become Europe's largest by 2014, when it is forecast to rise 28 percent to 3.4 million vehicles, according to the country's industry ministry. Buyers like Olga Sorokina, a child psychologist, don't want to own a Lada anymore, and unlike past generations of Russians, she has plenty of options. After having to fix "almost everything" from the transmission to the mirrors on her 2006 Samara sedan, the 26-year-old from Krasnogorsk said she is considering an Opel Corsa. Deepening cooperation between AvtoVAZ and Renault-Nissan hasn't won her over. "I am a bit skeptical," said Sorokina. She'd consider a car made by the Togliatti-based manufacturer only after "positive feedback," even if it's sold as a Renault, she said. "It's just about the only white spot on the world map that's left for Renault to grow," said Erich Hauser, an analyst with Credit Suisse in London. "They're buying the biggest guy in the room, but there are a lot of uncertainties in the deal. In the meantime, competition isn't getting any easier." VW opened a plant in Kaluga, about 170 kilometers (106 miles) southwest of Moscow, in 2007 to produce 150,000 cars a year. The Germany-based automaker agreed last year to build as many as 110,000 VW and Skoda vehicles annually with billionaire Oleg Deripaska's GAZ. The deal follows GAZ's agreement to build Chevrolet Aveos for General Motors, which operates a factory in St. Petersburg and partners with AvtoVAZ to make the Chevrolet Niva. AvtoVAZ was set up with the help of Fiat in the 1960s, as the Soviet Union sought to create its own "people's car" for the Eastern Bloc. In its heyday, East German buyers had to wait as long as 17 years to get a Lada. After the dissolution of the Soviet Union in 1991, the company survived with the help of government loans and by trading finished cars for parts from suppliers or for food and clothing for workers. Lada, which is replacing Soviet-era vehicles like the 2105 and 2104 with new models, has stumbled in its efforts to overhaul its product lineup. Last month, a fault with the fuel system caused it to recall 24,000 Granta sedans, representing almost the entire production run of its first new model since 2007. The same defect also affected 70,000 Kalina compacts. Lada's sales are forecast to decline 2 percent to 566,900 vehicles this year, according to IHS. Renault believes it can lure customers back as reliability improves and more new vehicles hit the market. "You don't buy a big brand in order to kill it," said Bruno Ancelin, Renault's managing director for Russia. "If you ask Russian customers if they want to buy a Lada today, they would probably say no, because of quality issues. But if you ask again if they would be ready to buy the same car with an improved quality, 90 percent of them say yes. It's a brand they're very attached to, because of a strong nationalist feeling." For customers like Piotr Fomin, no other carmakers are worth considering. The low cost of the vehicles and a service network that blankets the country make Lada "the most reliable vehicle for Russia," said the 50 year old from Voronezh, 500 kilometers south of Moscow, who has driven Ladas for decades. AvtoVAZ plans to at least maintain its market share by improving quality, expanding the lineup and keeping prices and service costs low by using locally made parts, CEO Igor Komarov said by e-mail. The company will also rely on more than twice as many sales outlets as Chevrolet and Hyundai two of the top brands outside the Renault-Nissan-Lada group. Backed by models like the Granta, which starts at 229,000 rubles ($7,300) compared with 400,000 rubles for the Hyundai Solaris, the group intends to boost the combined market share of Lada, Renault and Nissan to 40 percent by 2015 from 33 percent last year. IHS projects Lada's market share recovering to 21 percent in 2014. "Renault-Nissan and AvtoVAZ are doing the right thing, keeping the Lada brand in the low-cost segment," said Vladimir Bespalov, an analyst with VTB Capital in Moscow. "That's their major competitive advantage" and the segment will remain Russia's biggest for years to come. AvtoVAZ also has high-profile supporters. Russian President Vladimir Putin attended an April ceremony to introduce the Lada Largus, the brand's first model based on Renault technology. In August 2010, Putin drove a yellow Kalina Sport 2,165 kilometers to inspect a new road in Russia's far east. His regime loaned AvtoVAZ 75 billion rubles during the financial crisis in 2009. "If you want to talk about Russian authorities, we have excellent relationships with them," said Renault's Ancelin. "I sleep perfectly well at night -- much better I think than some of my colleagues in other parts of the world." Auto demand in Russia will probably surpass Germany, currently Europe's largest market, as incomes rise, making car ownership affordable to more people. Fewer than two of every 100 Russians bought a car last year, about half the rate in Germany. Renault and Nissan signed an agreement with Russian Technologies Corp. on May 3 to invest $750 million in a joint venture that will own 74.5 percent of AvtoVAZ. The deal, which follows Renault's purchase of a 25 percent stake in the Russian carmaker in 2008, is targeted for completion by 2014.